NATIONAL First Division side Royal Eagles have bolstered their technical team by appointing Isibaya actor “Fezile” as the club’s physical trainer. Fezile, whose real name is Andile Mxakaza, will help ensure Eagles players are fit in their bid to gain promotion to the Absa Premiership. They are currently fourth on the log table with 28 points from 17 matches played. They are six points behind log leaders Stellenbosch FC. However, it remains to be seen how Mxakaza will juggle his busy schedule as an actor and model while helping Eagles achieve their target. The 40-year-old fitness guru was part of Eagles’ technical team at the weekend when they drew goalless with TS Sporting at Chatsworth Stadium. This saw the club lose their grip among the NFD pace setters. 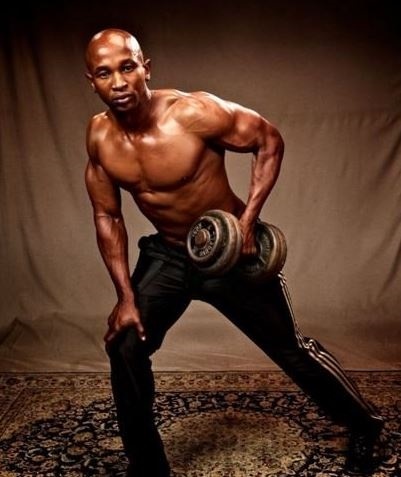 Mxakaza is an exercise specialist and also has a keen interest in boxing. He also played Sgonondo on SABC1 drama series Zone 14, and appeared on Jacob’s Cross. Mxakaza was one of the finalists in the Men’s Health Look 2008 model search competition. Eagles chairwoman Shawn Mpisane said Mxakaza was brought in to help the players boost their fitness level. “He is the physical trainer and he’s dealing with the core of the players,’’ Mpisane told SunSport. “Fezile is very good at fitness training and the only reason we brought him here is to make sure that the core of our players are strong. Mpisane insists that Mxakaza knows the job very well. Eagles have been campaigning in the NFD since 2014 after the Mpisane family bought the status of Sivutsa Stars. They have been trying to gain promotion without luck. They also brought in top class players such as Katlego Mphela, Thulasizwe Mbuyane, Njabulo Manqana, Mbuleo Mabizela and Philani Shange.